holding sound is a project I’ve been developing since November 2011. It is based on the idea that sound itself can be used as an interface to drive reactions from a computer. Importantly these are controlled by a very limited sound generating instrument – a pair of glass jars. The title relates to two ideas. The first is that given the jars should be large enough to hold and the microphones are placed inside them, you’re literally holding the sound in your hands as you play. By changing how much you cover the tops of the jars with your palms, you can directly control the frequencies of the feedback in the system. The second idea relates to the quality of music itself. As a multichannel piece, scalable to any number of loudspeakers, the sounds rove around the room – this movement is linked to the amplitude and frequency of the sound that is made by the jars. As I play, I have the feeling that I can freeze the sound into the room if I can discipline myself to stay still for long enough. I have performed this on several occasions, firstly in Edinburgh in November 2011 at the Soundings Festival, again in Prague in December 2011 (AXA in action), then more recently at Keele University on the 31st October 2012 and again in Dundee at Generator Projects on the 12th November as part of Catherine Street’s Continuum project. Below is a recording I made of the Dundee performance with an excruciating amount of reverberation added in post. This is a temporary mix that I may replace with the next performance of the piece at the Surrounded Festival in Munich later this month. Enjoy! Week of the 26th January I had the great pleasure of working with three very fine dancers; Tony Mills, Hannah Seignior and Felicity Beveridge. I’m the composer / sonic interaction designer in Bev Hood’s “Glitching” project: http://glitchchoreography.wordpress.com/tag/beverley-hood/. I just spent an exciting morning making noise with ace-clarinettist Peter Furniss. We were preparing the bass clarinet edition of GruntCount. Pete is an extremely willing improviser so it was very easy to stretch the system and get some new, filthy settings for our concert in the Reid Concert Hall on the 13th March 2012. The computer processing in GruntCount is fairly gritty (one of the reasons for its title) and this seems to work very well with the rich colours Pete can produce. The way we worked this morning was to take each voice of the processing system in turn and establish a series of settings that we thought worked well. We also got as far as finding some mixes of the different voices and parameters but have still to find a musical structure that makes sense of the wide variety of sounds that Peter can produce in combination with the software. One of the features of GruntCount is that it can be scaled to fit different contexts. Depending upon what else is in the programme, it can be a long blow, full of atmosphere and tension, or it can be more flamboyant and short. As we’re preparing this for a concert featuring Stravinsky, Musgrave, Reich and a recent piece by Alex Harker called Fluence, we’re going for something in between the two. We’re hoping to give the audience’s ears a bit of a blast but should also show some of the reactive twists and turns the electronics can take. The concert is a University lunchtime event, starting at 1:10pm in the Reid Concert Hall, the gig is free. Please note, these are rough mixes from a draft session, certainly not the finished piece as you’ll hear it in concert. Anne tells me she’ll perform gruntCount in Amsterdam on the 6th July. Good luck Anne! Taking Sean Williams, Owen Green and Lauren Hayes to STEIM for a week of orientation and introduction to what’s going on there. Here is a link to our blogs; http://steim.org/projectblog/. My opera for cinema is finally finished and on tour. In December 2009, Jennifer Williams, Anna Chapman and I finally released our project Chiaroscuro Pentimenti. The book has been beautifully designed by Anna Chapman (www.fogbank.co.uk) and is available as a limited edition of 200 for £12 including PnP, please get in touch if you want to get hold of a copy. 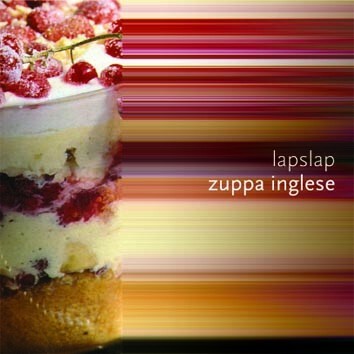 Lapslap release Zuppa Inglese, our third release on Leo Records. I’ll play a concert with long-time collaborator Hannes Raffaseder at the SMC conference in Porto on the 23rd July. This is the 6th Sound and Music Computing conference: http://smc2009.smcnetwork.org/. It will take place at the extraordinary Casa da Música. 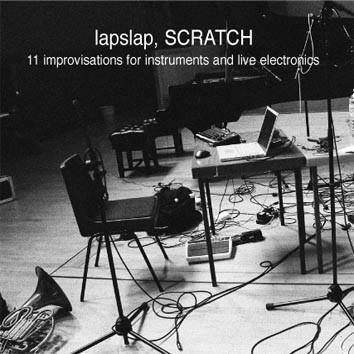 In Feb 2009, lapslap released Scratch, our second album on Leo Records. I’m writing a new piece for Music at the Brewhouse, to be performed on the Rock and Roll swindle tour in April 2009. I’ll write a new work for headphones to be presented at the East Neuk festival in June 2009.